Make no mistake, I have an undying love for ice cream. 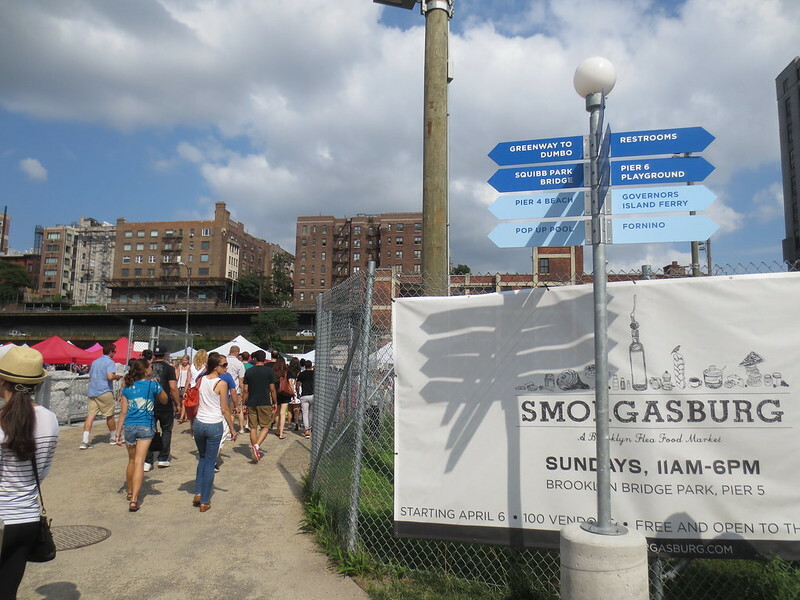 But in the rush of Smorgasburg at Pier 5, caught between the choice of a scoop and an intriguing halo-halo from Lumpia Shack, I found myself gravitating towards the latter. “Halo-halo” is Tagalog for “mix-mix” and refers to a Filipino dessert made of shaved ice and condensed milk. It’s similar to the Italian grattachecca, the Korean patbingsu, and the Chinese baobing, which has always been one of my favorite summer desserts growing up. A traditional halo-halo is topped with sweat beans, different types of fruits, purple yam, and evaporated milk. 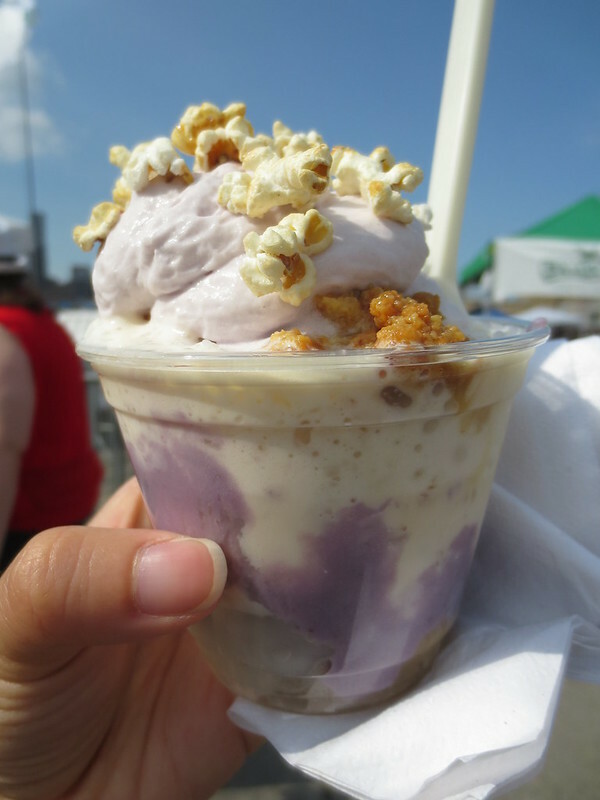 The version that Lumpia Shack totes at Smorgasburg is like a halo-halo in fancy dress-up clothes – stacked with requisite purple yam, coconut jelly, sugar palm fruit, sweet banana, leche flan, and then elevated with foamed milk, purple yam whipped cream, and Pipsnacks’ kettle corn. The whipped cream is especially delicious, enhanced by the earthy sweetness of the yam. Its richness strikes a delicate balance with the lightness of the sugared fruit, and its smoothness is checked by the crunch of the kettle corn. The pastel colors layered together are just irresistibly beautiful. At $5 for a small and seven for a large, Lumpia Shack’s halo-halo perhaps errs on the pricier side in general – but for Smorgasburg, it is a satisfyingly innovative dessert.